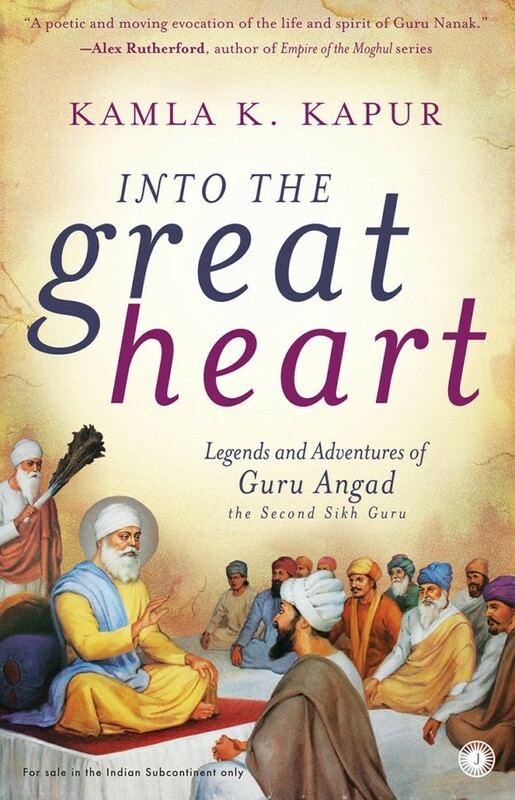 Into the Great Heart : Legends and Adventures of Guru Angad the second Sikh Guru. From the bestselling author of The Singing Guru and Rumi: Tales to Live By, comes the second book in the Sikh saga series about Bhai Lehna’s journey from being Guru Nanak’s constant disciple to becoming Guru Angad, the second Sikh Guru. Into the Great Heart carries forward and concludes the stories of Guru Nanak and Bhai Mardana, his favourite minstrel, from the first volume of the Sikh saga, The Singing Guru. History, legend and fiction merge to populate this book with fascinating personalities from Sikh history. Pivotal to this narrative are forgotten female luminaries such as Guru Nanak’s wife, Mata Sulakhni, his sister, Bebe Nanaki, Bhai Lehna’s wife, Khivi and daughter Amro. Brought to the foreground, their wisdom and insights as they overcome obstacles to spiritual growth embody the basic tenets of Sikhism in everyday living. They enhance Guru Nanak and Bhai Lehna’s tale with their diverse approach to life. Filled with captivating characters that enrich the tapestry of this compelling narrative, Into the Great Heart is a must-read for anyone who loves a richg story about human nature in its search for spiritual awareness.